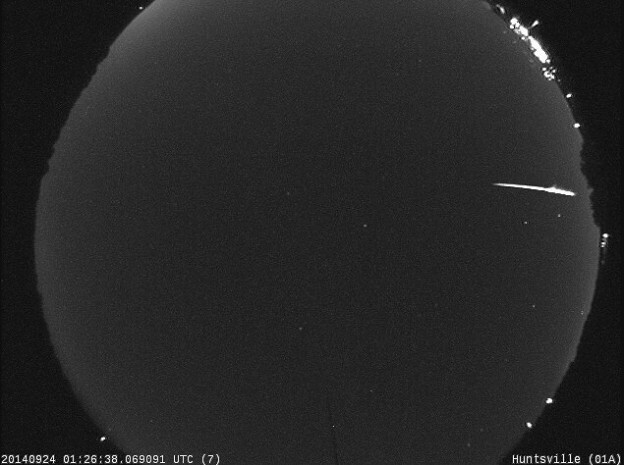 On Tuesday, Sept. 23, a second fireball occurred about 40 minutes after the fireball in Tennessee. The Michigan fireball is close to the edge of the camera because the meteor was at extreme range, over 200 miles away, for the camera. The Michigan fireball was produced by a piece of a comet over 2 feet across, probably weighing around 40 pounds. It hit Earth’s atmosphere at a speed of 54,000 mph. At 8:26:38 pm CDT on Tuesday, Sept. 23, a 2 inch piece of an asteroid entered the atmosphere above the town of Lutts in southern Tennessee. Moving almost due west at a speed of 46,300 miles per hour, it traveled some 52 miles before burning up 25 miles above the Tennessee farmland. 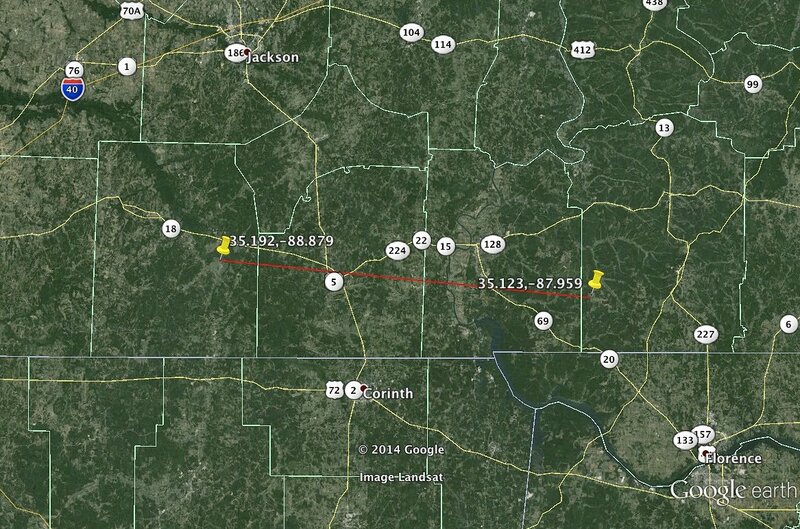 At its peak, the fireball was about twice as bright as the planet Venus, and was seen by many in north Alabama, Mississippi, and Tennessee. Did a Meteorite Cause a Crater in Nicaragua? At approximately midnight local time on the night of September 6 (September 7, 6 UTC), a loud explosion was heard in an area near Managua, Nicaragua. A crater some 39 feet in diameter was found near 86.2 degrees west longitude, 12.2 degrees north latitude, in good agreement with the reports of explosive sounds. It has been suggested that a meteorite may have caused this crater; however, the lack of fireball reports from the surrounding populated area seems to suggest some other cause. The skies were partially clear, and an object capable of producing a crater this large would have also generated a very bright fireball (brighter than the Full Moon) that should have been seen over a wide area. Some have drawn analogies to the September 2007 Carancas meteorite fall in Peru; however, there were fireball reports associated with this event, even though it occurred in the daytime near noon. While a meteoritic origin for this crater cannot be ruled out with absolute certainty, the information available at this time suggests that some other cause is responsible for its creation. Author Marshall Space Flight CenterPosted on September 8, 2014 Categories MSFC Meteoroid Environment OfficeTags Bill Cooke, Carancas meteorite, fireball, Marshall Space Flight Center, Marshall Space Flight Center Meteoroid Environment Office, meteorite19 Comments on Did a Meteorite Cause a Crater in Nicaragua?